Since October 2012, the WKU Special Collections Library has been home to the Kentucky Folklife Program Archive. The KFP Archive was transferred over from the Kentucky Historical Society and has been merged with WKU’s Folklife Collection already housed in the Kentucky Library. The Kentucky Folklife Program Archive consists of over 150 collections spanning across the Commonwealth of Kentucky and covering over 20 years of research by Kentucky Folklife Program. 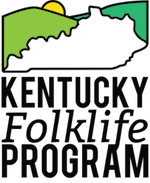 The Kentucky Folklife Program Archive are maintained by the Manuscripts and Folklife Archives at Western Kentucky University’s Library Special Collections. The Manuscripts and Folklife Archives at WKU holds accreditation status from the Kentucky Oral History Commission (KOHC). This new combined Folklife Archive is one of the most extensive and dynamic archives of culture and folklife in Kentucky.